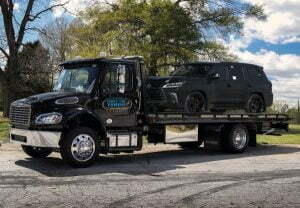 Why choose Triple Time Towing? We offer QUICKER, QUALITY SERVICE, ALWAYS! It's our motto and we treat every tow to achieve that standard! Because we won’t leave you stranded on the side of the road for hours, we provide expert Towing, Accident Recovery, Emergency Roadside Services, and Fleet Services in Northern Virginia and all of the DMV. 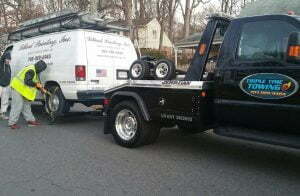 Specializing in 24/7 Towing, Accident Recovery, Emergency Roadside Assistance, and Fleet Services. We rush to the scene when you are in need AND work with major roadside and insurance companies to get you back on the road ASAP. 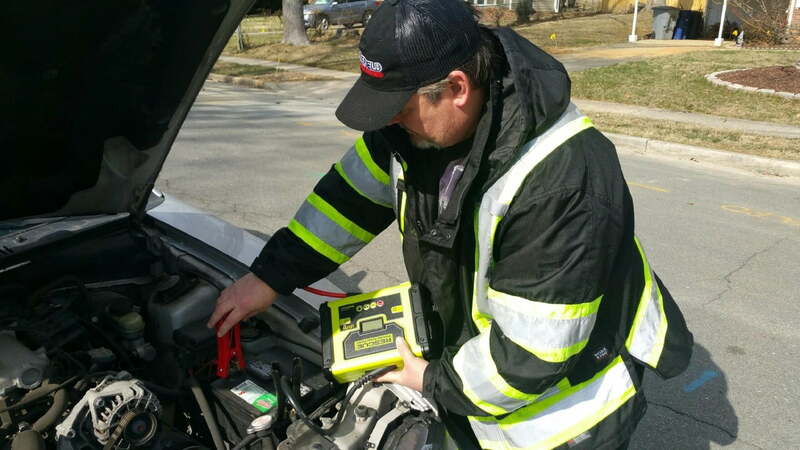 We are a group of seasoned towing professionals, with over 20 years industry experience, who have come together to form “a caring team” determined to give you a better experience. finest Fleet Services in the area. It’s such a great feeling when we see the relief in our customers’ eyes when we say hello AND receive “a smile and handshake” when we say goodbye. We truly love what we do! 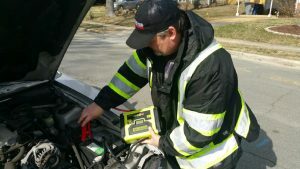 Family owned and operated, with over 20 years of industry experience, our TRAA Certified team has been trained to handle all types of vehicles (sedans, sports cars, classic cars, SUVs, and more) including commercial trucks and vans with extreme care using the most advanced equipment available on the market today. Whether you’re need is towing, accident recovery, emergency roadside assistance, or fleet services, Triple Time Towing’s fleet is pristine, well-maintained and capable of achieving any task. From local & long-distance towing, to accident recovery and emergency roadside assistance, we treat your vehicle as we would our own -365 days a year, 7 days a week, 24 hours a day. 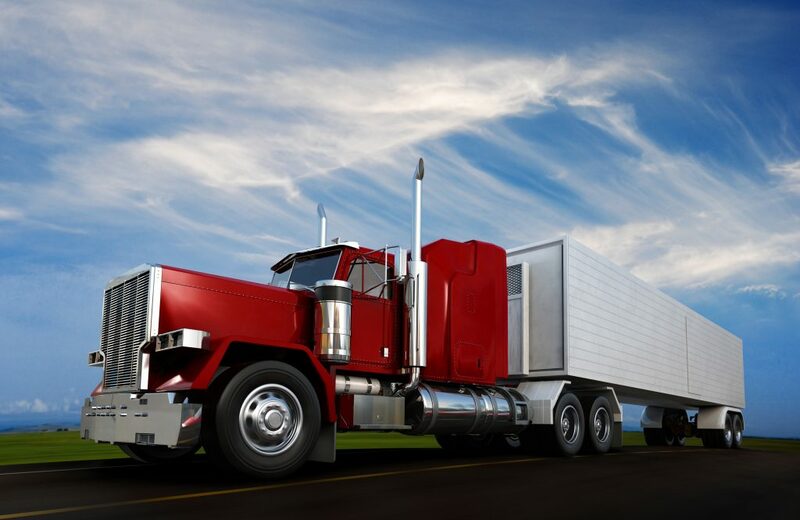 We offer a wide range of heavy duty services to our clients with heavy trucks, semi truck/trailers, and other large vehicles. From lockout service to battery and tire changes, Triple Time Towing has the knowledge and experience to handle any heavy roadside service. At Triple Time Towing, we strive to be a cut above the rest. We’ve incorporated over 20 years of industry experience, taking in what works well and making improvements on what could be done better. With that, we take great pride to offer YOU something better because you deserve it - exceptional service at an affordable price, in half the time! Being natives of Northern Virginia, there isn’t a backroad we don’t know and in our “neck of the woods” it’s vital to understand the terrain and the seasonal challenges we face in the DMV. Whether we’re facing inclement weather or rush hour traffic, Triple Time Towing has you covered. We’ve invested in a state-of-the art fleet that is outfitted with brand new equipment and qualified drivers to get you back on the road quickly, and more important, safely. We firmly believe our towing business is all about the timing and quality of service, so please give us a call when you need “a lift” or any other type of towing, accident recovery, emergency roadside assistance, or fleet services. Triple Time Towing. Quicker, Quality service… Always! Having a flat tire can ruin a day but fortunately, the owner of triple time towing George had been driving by and decided to take time out of his busy day to stop and assist on the side of the highway. Very appreciative for his assistance. Thanks guys, you were great!!! Great customer service - George is very responsive, friendly, and fair with his rates. I’ve used him for multiple jump starts and a tow and will call him again the next time I have an issue. He was there in 20 minutes , super friendly and reasonable in an emergency situation. And, He drove me home & dropped me off. I highly recommend this business!! Call Triple Time Every Time! 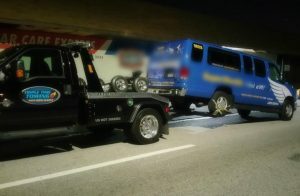 When you need help, its Triple Time Towing to the rescue. From recovering an accident off Interstate 495 to winch-outs on the county parkway, to whatever your towing need may be in Northern Virginia and the DMV, call Triple Time every time!